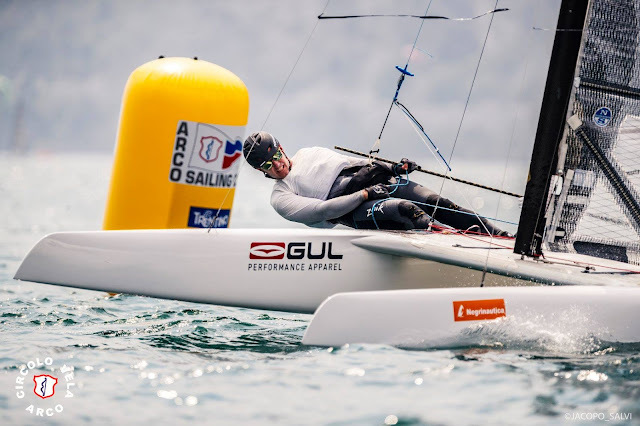 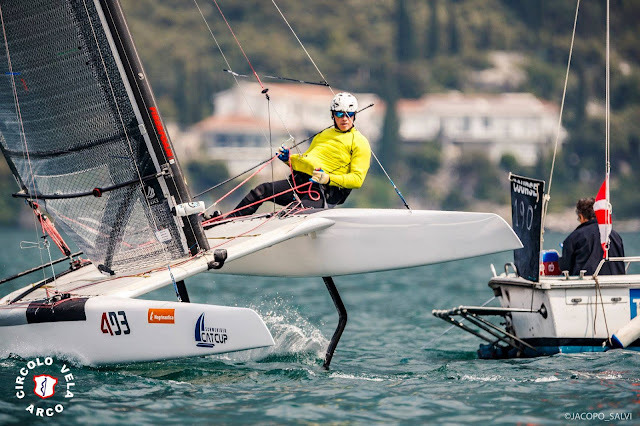 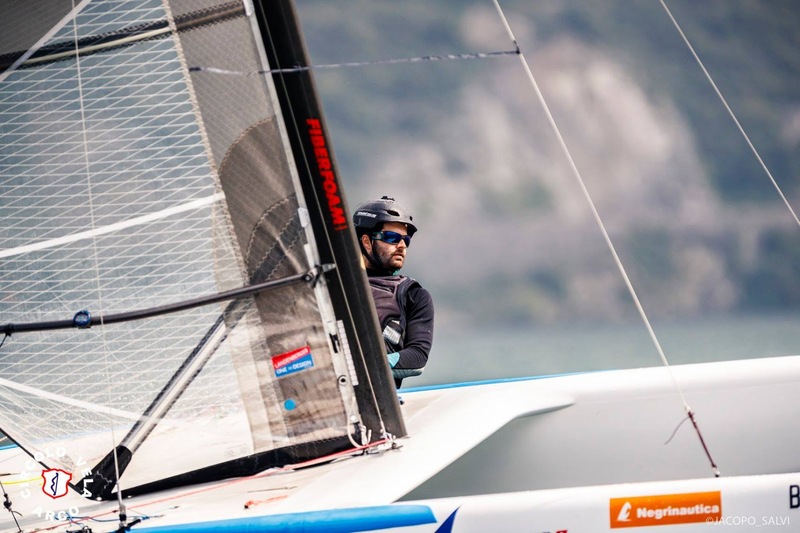 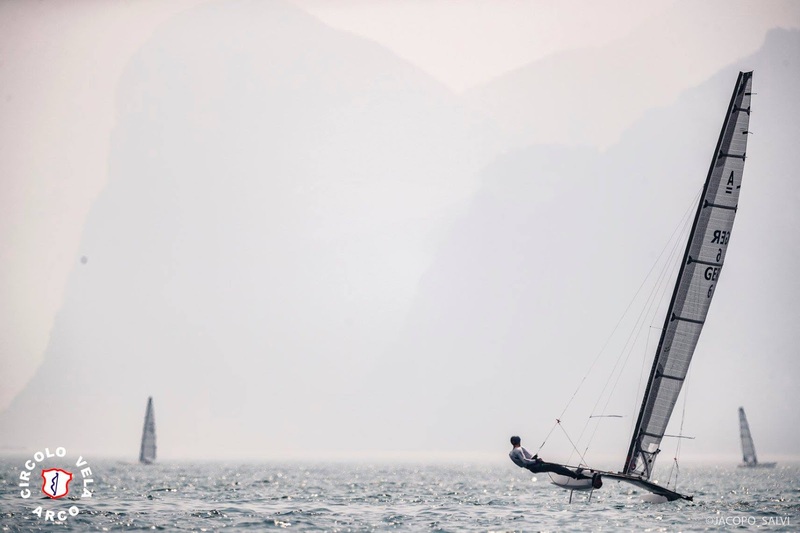 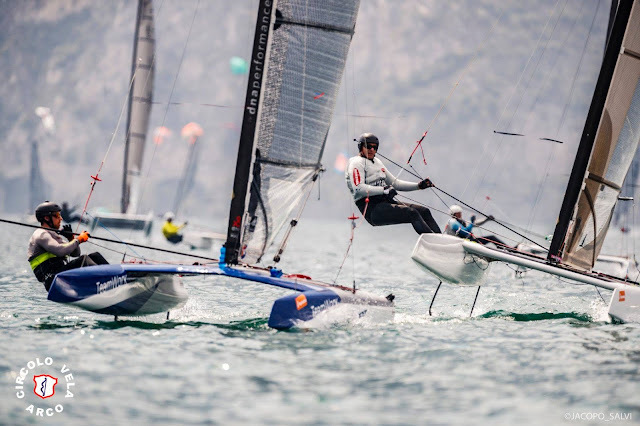 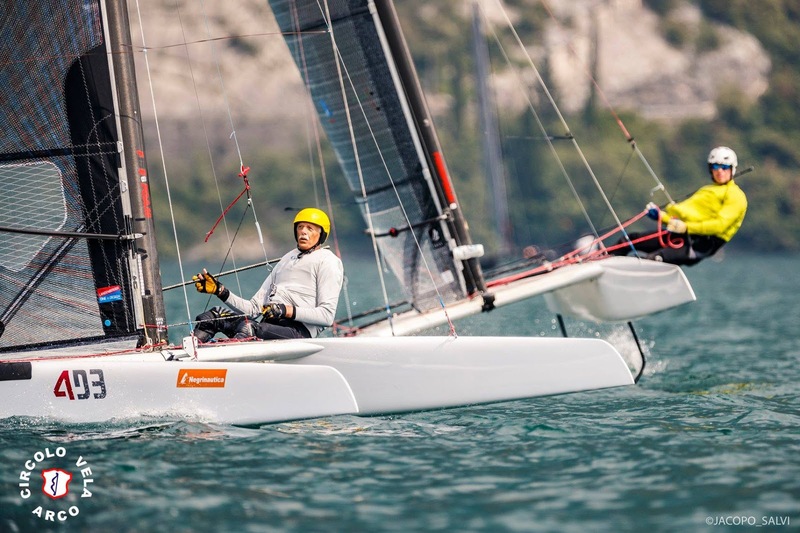 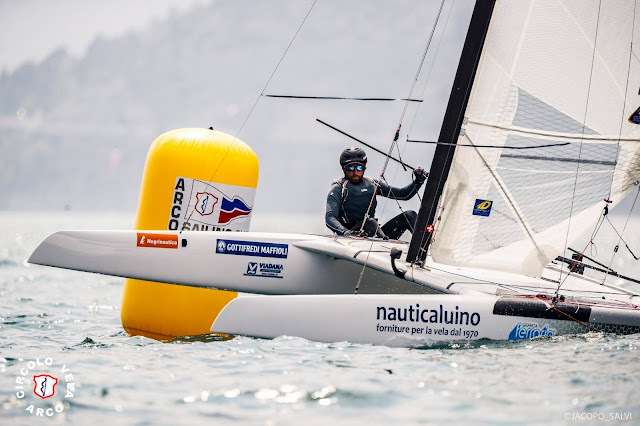 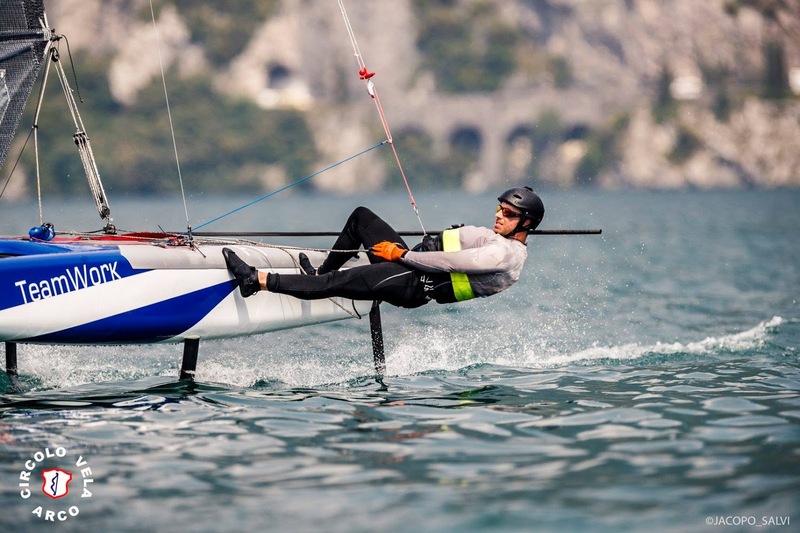 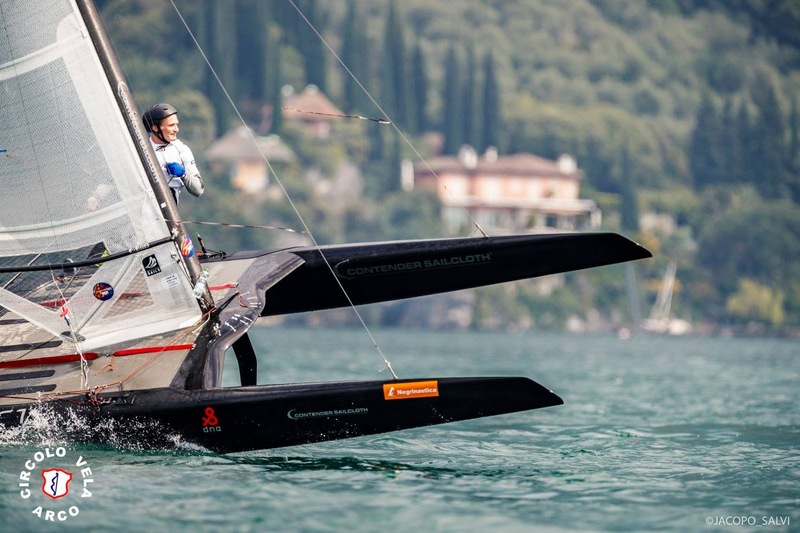 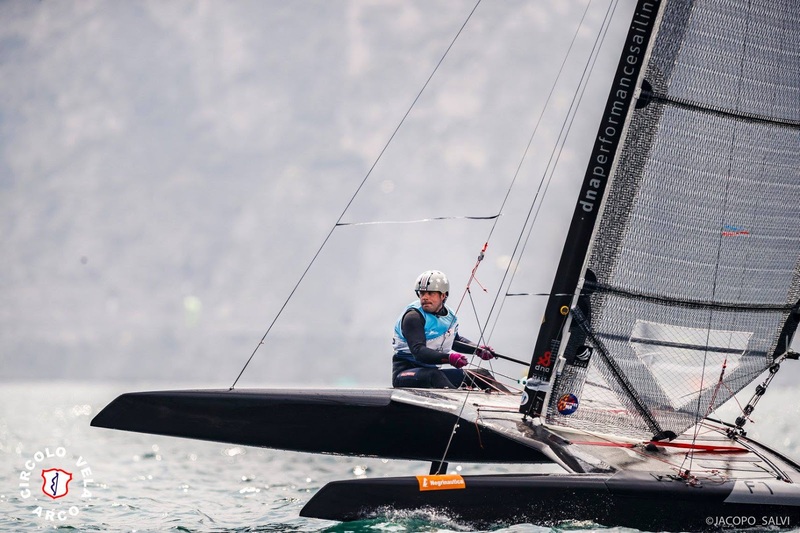 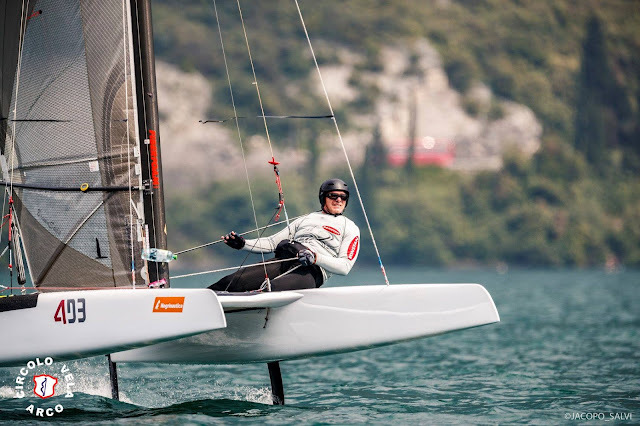 All images by Jacopo Salvi / Circolo Vela Arco, full gallery here, couldn't found a pic from Mischa Heemskerk (DNA F1x / Mischa DS) yet. 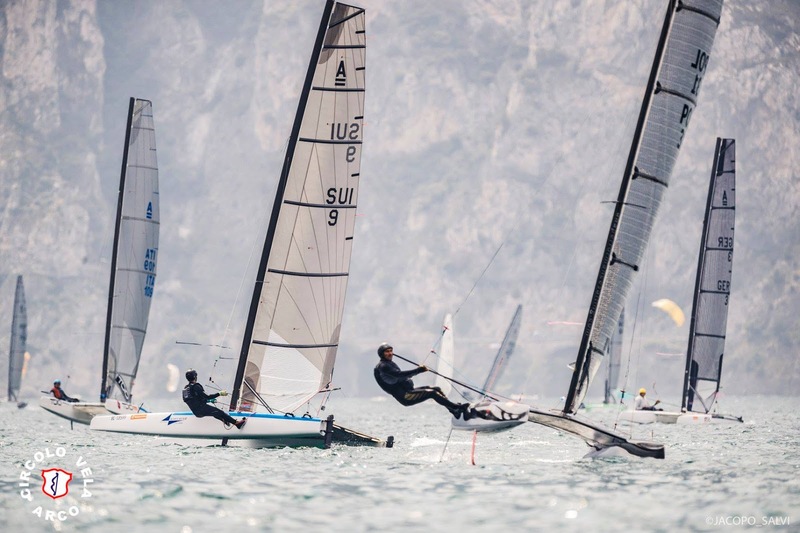 Two more races held today at Garda. 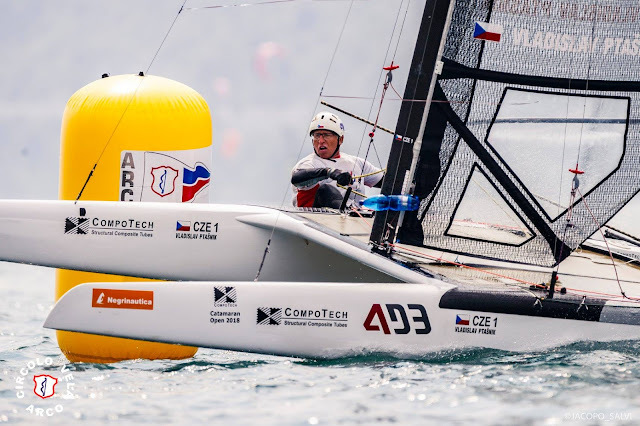 Mischa obtained his 3rd consecutive bullet and now sits in second place overall, 7pts behind leader Sandro Caviezel (G7 / Landenberger DS) who scored 4 & 3 for the day to defend top podium place. Third overall for Robert Graczyk, 4th Roeland Wentholt & 5th for French sailor, Emmanuel Dodé.